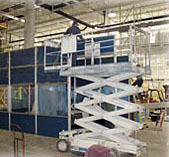 AluFab offers a full range of services to help your project move quickly and smoothly. From project design and 3D drafting to full onsite installation, AluFab can do as much or as little as you need! Contact Us to discuss your aluminum fabrication solution. 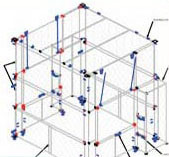 AluFab has experienced engineers that design and build using the structural T-slotted extrusion. 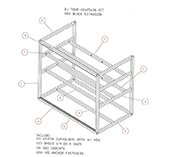 AluFab can supply you with up to date drawings and bill of materials at your request. Learn more about Alufab’s Custom Design & Engineering. 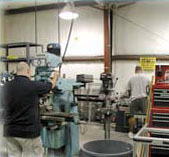 We provide all machining services required to accommodate any part that we offer. Anything from miter cuts, counter bores, access holes, taps, panel cuts and custom milling services, we do it for you. If you want a part custom machined call one of our customer service representatives. Custom machining is one of our specialties. Whether in kit form or partially assembled, AluFab will provide you with clear and concise step by step instructions to complete your project. Our alpha-numeric coding system allows you to easily match mating parts for effortless construction. Don’t tie up your resources designing guards or other extrusion products. For a nominal fee, AluFab’s experienced design team will visit your site and custom design a solution for your unique needs. If you contract with AluFab to complete the project, the design fee will be credited to your final bill. For any project a full on-site installation team or supervisory assistance is available upon request.